Turning on Russia. Is the U.S. Losing its Status as a Global Hegemonic Power? In this first of a two-part series, Paul Fitzgerald and Elizabeth Gould trace the origins of the neoconservative targeting of Russia. With the collapse of the Soviet Union in 1991 and the creation of the so called Wolfowitz Doctrine in 1992 during the administration of George Herbert Walker Bush, the United States claimed the mantle of the world’s first and only Unipower with the intention of crushing any nation or system that would oppose it in the future. The New World Order, foreseen just a few short years ago, becomes more disorderly by the day, made worse by varying degrees of incompetence and greed emanating from Berlin, London, Paris and Washington. 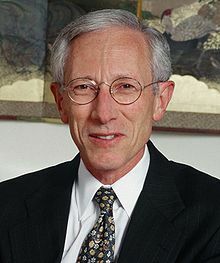 As a further sign of the ongoing seismic shocks rocking America’s claim to leadership, by the time Fischer’s interview appeared in the online version of the Der Spiegel, he had already announced his resignation as vice chair of the Federal Reserve—eight months ahead of schedule. If anyone knows about the decline and fall of empires it is the “globalist” and former Bank of Israel president, Stanley Fischer. Not only did he experience the unravelling of the British Empire as a young student in London, he directly assisted in the wholesale dismantling of the Soviet Empire during the 1990s. As an admitted product of the British Empire and point man for its long term imperial aims, that makes Fischer not just empire’s Angel of Death, but its rag and bone man. 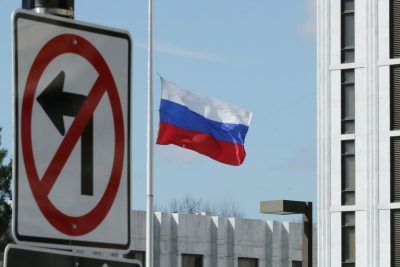 Alongside a handful of Harvard economists led by Jonathan Hay, Larry Summers, Andrei Shleifer, and Jeffry Sachs, in the “Harvard Project,” plus Anatoly Chubais, the chief Russian economic adviser, Fischer helped throw 100 million Russians into poverty overnight – privatizing, or as some would say piratizing – the Russian economy. Yet, Americans never got the real story because a slanted anti-Russia narrative covered the true nature of the robbery from beginning to end. 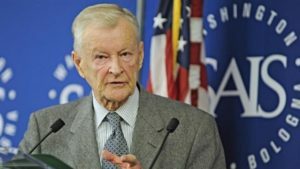 Neither do most Americans know that it was President Jimmy Carter’s national security advisor Zbigniew Brzezinski’s 1970s grand plan for the conquest of the Eurasian heartland that boomeranged to terrorize Europe and America in the 21st century. Brzezinski spent much of his life undermining the Communist Soviet Union and then spent the rest of it worrying about its resurgence as a Czarist empire under Vladimir Putin. It might be unfair to say that hating Russia was his only obsession. But a common inside joke during his tenure as the President’s top national security officer was that he couldn’t find Nicaragua on a map. If anyone provided the blueprint for the United States to rule in a unipolar world following the Soviet Union’s collapse it was Brzezinski. And if anyone could be said to represent the debt driven financial system that fueled America’s post-Vietnam Imperialism, it’s Fischer. His departure should have sent a chill down every neoconservative’s spine. Their dream of a New World Order has once again ground to a halt at the gates of Moscow. Whenever the epitaph for the abbreviated American century is written it will be sure to feature the iconic role the neoconservatives played in hastening its demise. From the chaos created by Vietnam they set to work restructuring American politics, finance and foreign policy to their own purposes. Dominated at the beginning by Zionists and Trotskyists, but directed by the Anglo/American establishment and their intelligence elites, the neoconservatives’ goal, working with their Chicago School neoliberal partners, was to deconstruct the nation-state through cultural co-optation and financial subversion and to project American power abroad. So far they have been overwhelmingly successful to the detriment of much of the world. From the end of the Second World War through the 1980s the focus of this pursuit was on the Soviet Union, but since the Soviet collapse in 1991, their focus has been on dismantling any and all opposition to their global dominion. Shady finance, imperial misadventures and neoconservatism go hand in hand. The CIA’s founders saw themselves as partners in this enterprise and the defense industry welcomed them with open arms. McGill University economist R.T. Naylor, author of 1987’s Hot Money and the Politics of Debt, described how “Pentagon Capitalism” had made the Vietnam War possible by selling the Pentagon’s debt to the rest of the world. In addition to their core of ex-Trotskyist intellectuals early neoconservatives could count among their ranks such establishment figures as James Burnham, father of the Cold War Paul Nitze, Senator Daniel Patrick Moynihan, Senator Henry “Scoop” Jackson, Jeane Kirkpatrick and Brzezinski (image on the left) himself. From the beginning of their entry into the American political mainstream in the 1970s it was known that their emergence could imperil democracy in America and yet Washington’s more moderate gatekeepers allowed them in without much of a fight. Peter Steinfels’ 1979 classic The Neoconservatives: The men who are changing America’s politics begins with these fateful words. In the end the U.S. found common cause with its Cold War Soviet enemy by imposing a cease-fire accepted by both Egypt and Israel thereby confirming the usefulness of détente. But as related by Garthoff this success triggered an even greater effort by Israel’s “politically significant supporters” in the U.S. to begin opposing any cooperation with the Soviet Union, at all. Copyright © 2018 Fitzgerald & Gould All rights reserved. This article first appeared on Invisible History.